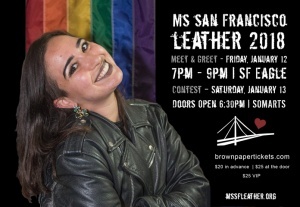 The annual Ms. SF Leather Contest is being held at Somarts Cultural Center on Saturday January 13, 2018. Contestant applications are due by December 13, 2017. Come and find out who will win!